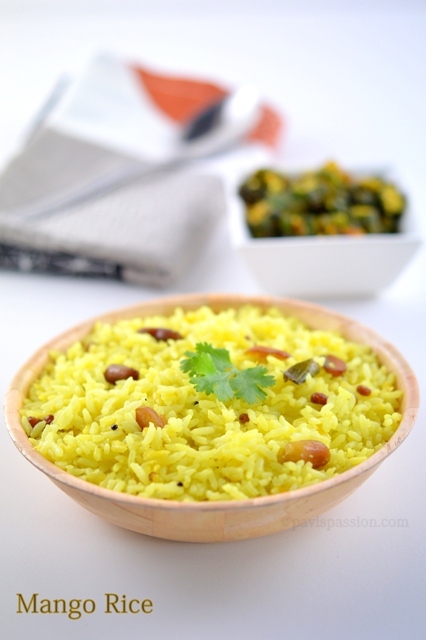 Mango Rice is simple South Indian Recipe made with raw mangoes. Whenever the Mango season begins we will get more mangoes, so we want to try new variety of recipes with mango. 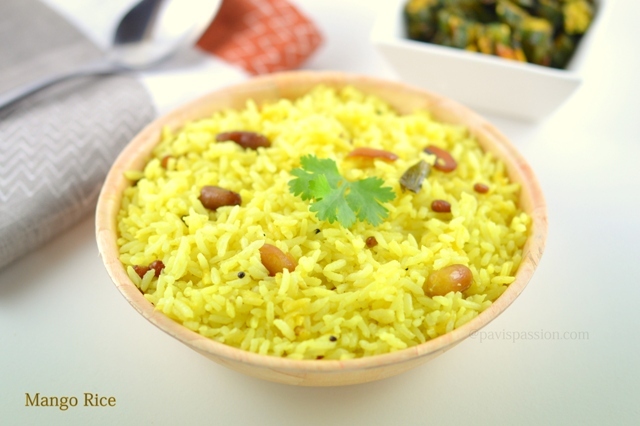 I want to share an easy and simple recipe, i.e mango rice. Its similar to the lemon rice but it tastes is awesome. Choose a tangy raw Mango will make this recipe perfect. 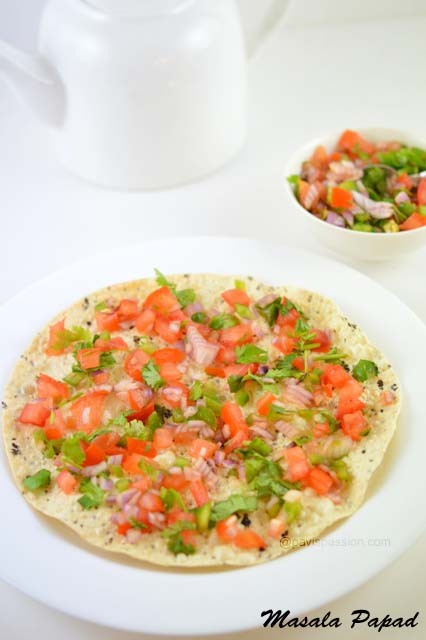 When i tried this for the first time my kids liked it a lot and enjoyed this recipe and asked this for again and again. Then this rice is added to my regular menu. This Raw Mango rice can also be done with left over rice. Hope you and your family will enjoy this so..
1. Cook the rice and let them to cool to get rice separate. Peel the Mango and grate it. Slice the green chillies and keep it ready. Heat 1 tbsp of oil in a kadai. 2. 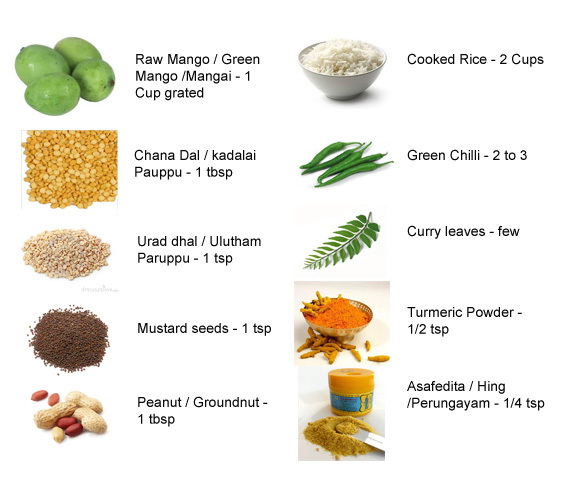 Add the channa dal, Urad dhal, mustard seeds and add Peanuts and fry until golden brown. 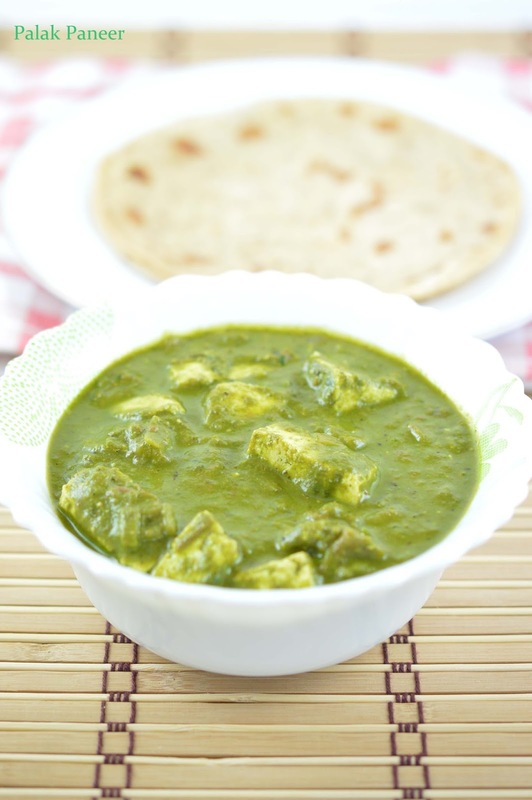 Then add curry leaves and green chilli into it and then saute for a second. Add the Turmeric powder and asafedita powder and mix well. Then add last add the grated Mango and saute it for 3 minutes. Use a tangy mango for making this recipe.If your mango is not that much sour you can add more grated mangoes. Garnish with 2 tbsp of grated coconut enhance the taste. Its purely optional.